Hey, Descendants fans! Thanks to the awesome generosity of Disney Hyperion, I'm giving away a copy of Isle of the Lost and the sequel, Return to the Isle of the Lost, both by Melissa de la Cruz! 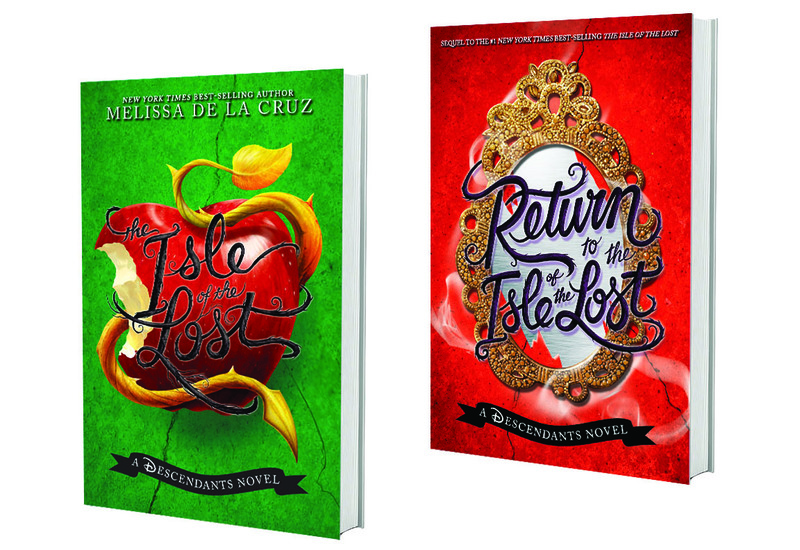 Return to the Isle of the Lost is the latest book in the Descendants series, and it is out now! Mal’s an expert at intimidating her enemies, but she’s broken the habit since leaving her villainous roots behind. So when she and her friends Evie, Carlos, and Jay all receive threatening messages demanding they return home, Mal can’t believe it. Sure, she’s King Ben’s girlfriend now, and she’s usually nice to her classmates, but she still didn’t think anyone would be silly enough to try to push her around. The thing is, it kind of worked. Especially since she and her friends have a sneaking suspicion that their villainous parents are behind the messages. And when Evie looks into her Magic Mirror, what she sees only confirms their fears. Maleficent’s just a tiny lizard after her run-in with Mal at Ben’s Coronation, but she’s the worst villain in the land for a reason. Could she have found a way to escape? Whatever’s going on, Mal, Evie, Carlos, and Jay know they have to sneak back to the Isle and get to the bottom of it. Without its infamous leader, the island’s even worse than when they left it, but the comforts of home—even a home as gloomy as the Isle of the Lost—can be hard to resist for recently reformed villains. Will the kids be able to beat the evil bubbling at the Isle’s wicked core, or will the plot to destroy Auradon succeed? To enter, fill out the form below!